Add flexibility to your spending with a card that's accepted worldwide. At Main Street Bank, we seek to meet all of your banking needs. If there's anything you need assistance with, please contact us or visit us. Your free ATM or debit card is linked to your Main Street Bank account. Access your funds 24/7, from any ATM, with your ATM or debit card. Your debit card works just like a check, and can be used to make purchases quickly and securely. 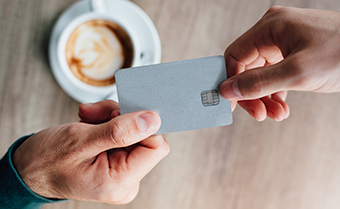 Earn rewards for your debit card use with our free Kasasa® checking accounts! The routing number for Main Street Bank is 072414174. *NOTICE: The contents of your safe deposit box are not insured against loss by Main Street Bank or the FDIC. You may wish to obtain your own insurance on the contents of your box. © 2019 Main Street Bank | Portions Copyright © Kasasa, Ltd. All rights reserved.